The Cat on My Head joins Thoroughly Poetic and Thankful Thursday hops. 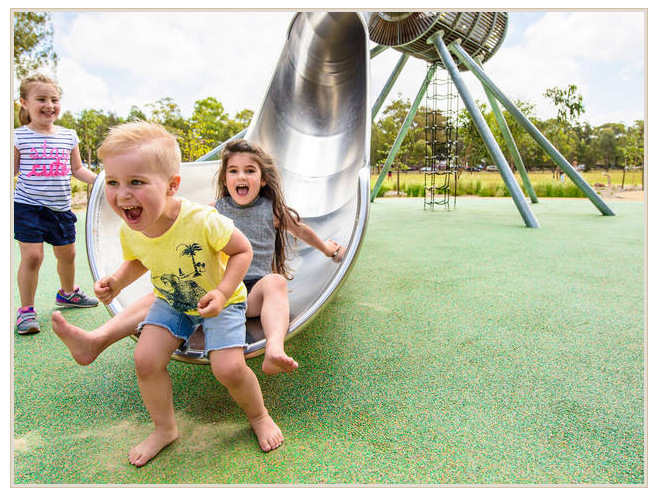 I absolutely love the fun and exuberance radiating from the youngsters in today’s inspiration photo. After scratching my head and having several false starts when it came to writing a poem, I ended up with a haiku. Thoroughly Poetic Thursday is hosted by our friends, Angel Sammy and Teddy, at Two Spoiled Cats. We always enjoy reading Sammy’s poem that he transmits each week from the Rainbow Bridge and discovering links to the poems of other bloggers, which are in the Comments. 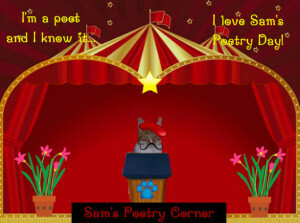 To check out Sam’s poem, click on his badge. Today, I have a list of “gratefuls” to share. I am most thankful, however, that with an increase in Sawyer’s new medication (and no additional decrease in the phenobarbital), he has gone a few days with no seizures. 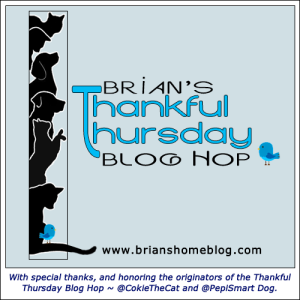 Thankful Thursday is a blog hop hosted by Brian. To join the hop, click on his badge below. BRAVO! I likes it! I am so happy there are no new seizures Sawyer! I’m doin’ some happy zoomies! Love your haiku! And we’re glad to hear Sawyer is doing better. Paws crossed that it continues. We are so happy that Sawyer is doing good!!! Thanks for joining the Thankful Thursday Blog Hop! Way to go, Sawyer…keep up the good work! That was such a happy photo and your haiku was purrfect. All good things to be thankful for but the last one is the BEST! First thing that came into my head when I read your title was Paul Simon and his song of the same title! LOL! Cute picture and Haiku. I hope Sawyer continues to do well. Glad da upped meds are helping Sawyer! Previous post: WHY ARE YOU BOYS SO EXHAUSTED?